Asteria Earrings are dazzling and dramatic. 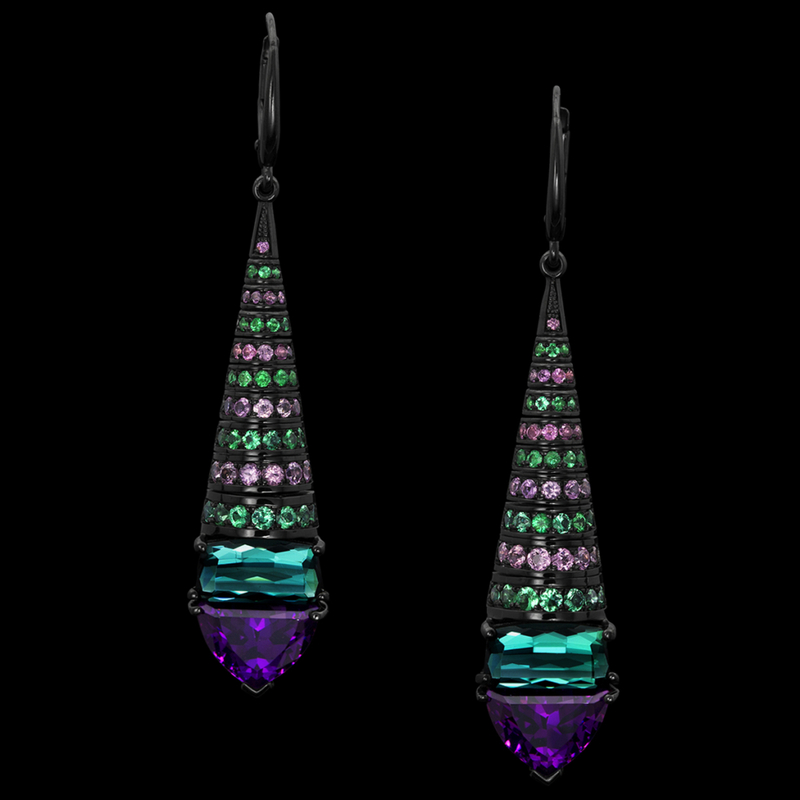 These vibrant earrings feature a suite of royal purple garnet and green tourmaline cut by master lapidary Stephen Avery. An abundance of emerald and purple garnet decorate Asteria’s dramatic length. Adam designed each 14 karat black gold earring to gently articulate, enhancing sparkle.